Iron cross Antiques is one of Edmonton’s favorite tourist attraction shops and perhaps the coolest antique shop in Alberta. 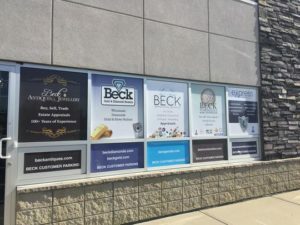 Located in two locations in Edmonton, Alberta. 10447 124 St. and 7315 50 St NW. 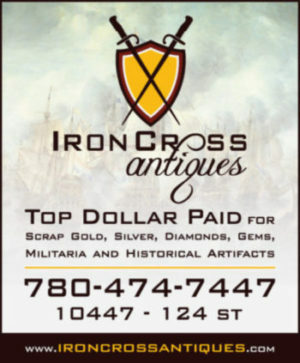 Iron Cross Antiques has been featured in travel magazines in Europe and Asia and is a member of Edmonton Tourism. 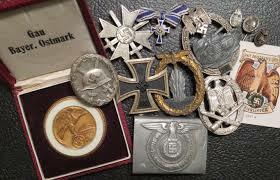 At Iron Cross Antiques we specialize in militaria and historical artifacts. 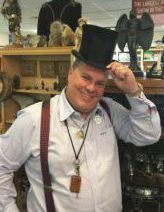 If you are looking for the unusual, the super rare and the unbelievable, then Iron Cross Antiques is a must-stop. Evening appointments are available by appointment. At Iron Cross Antiques we buy, sell, trade and loan on the following items. If you are unsure, please bring it in before you throw it away. You may have treasure. If you are in need of cash, we offer 30-day collateral loans on collections and items listed above. We are open 7 days a week. © 1995 Beck Antiques & Jewellery Inc.